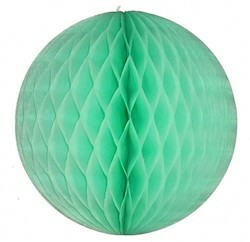 Ecopartytime has a great selection of Tissue Fan and Tissue Ball Decorations. 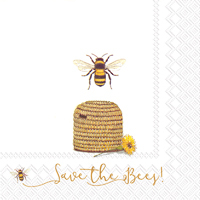 Their line of honeycomb tissue decorations are handmade by a small family owned business in the USA using the latest green and environmentally friendly manufacturing processes to produce beautiful and high quality tissue paper decorations. 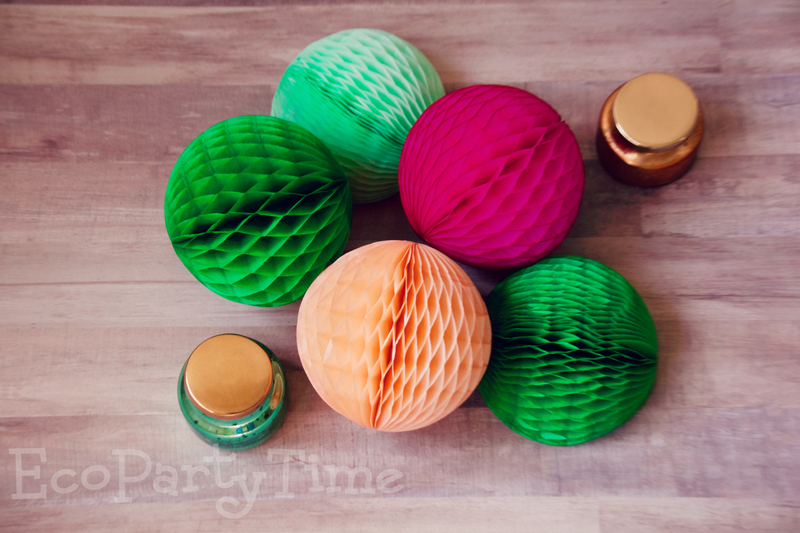 I’m going to show you some fun and unique uses for these decorations! 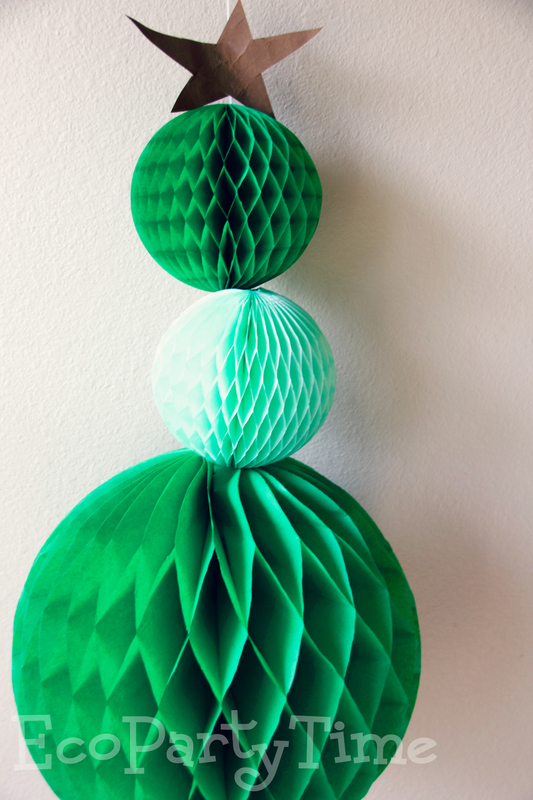 My first idea for you are these adorable Ice Cream Cone decorations. This is perfect for a kid's birthday party or an ice cream social. 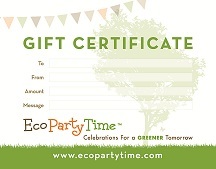 All you need is some of Ecopartytime’s Small Tissue Balls and large pieces of brown recycled paper. 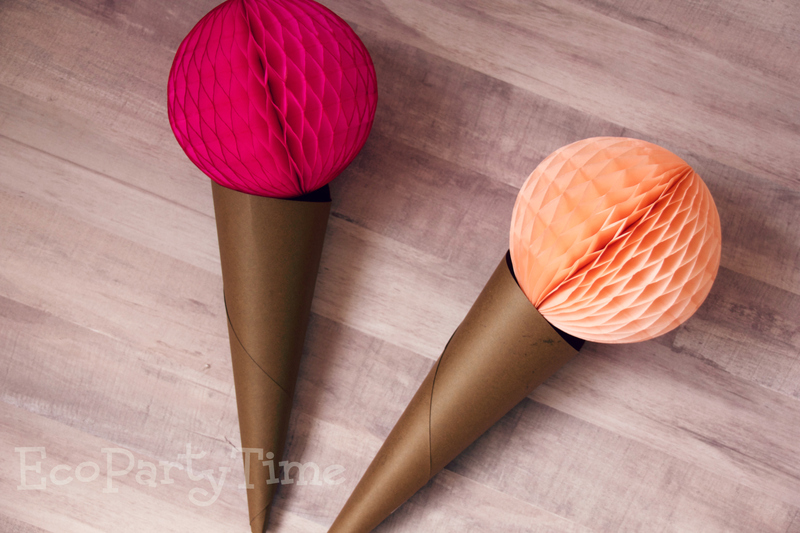 Roll the brown paper up and use tape to create adorable ice cream cones to hang from the ceiling! 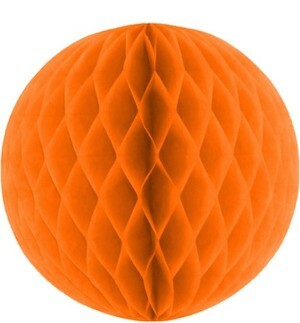 My next idea is perfect for one of the most recent crazes - pineapples. I’ve been seeing pineapple shirts, pineapple pillows, pineapple parties. 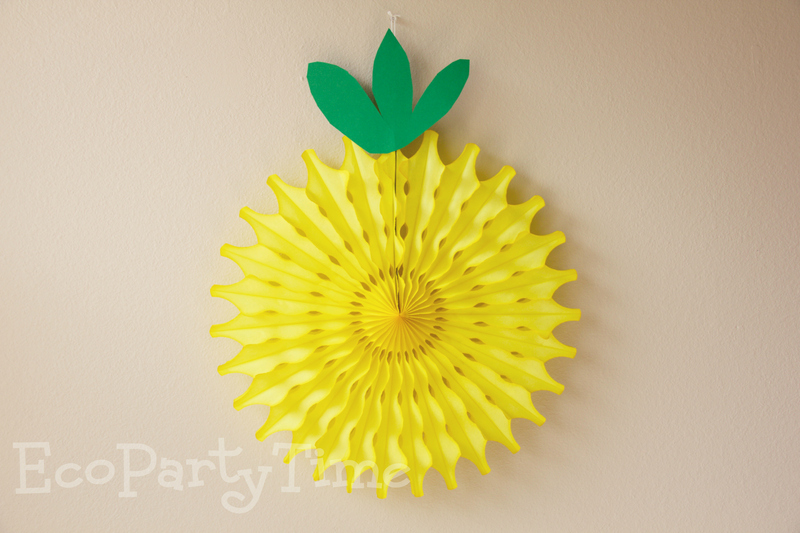 Use Ecpartytime’s Yellow Tissue Fans and some green recycled paper to create these adorable pineapple decorations. 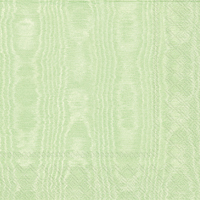 These are perfect for any summer party or event. Christmas is coming. And I’m going to be ready with my cute Tissue Ball Christmas Tree! 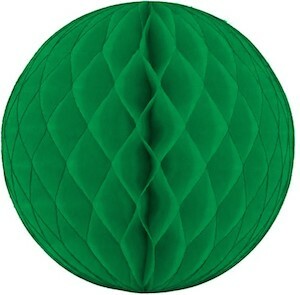 All you need for this is a selection of Ecopartytime’s Green Tissue Balls to arrange. I used glue to keep these all together. You can get a cute star to top off the tree or you can make one out of recycled paper like me. 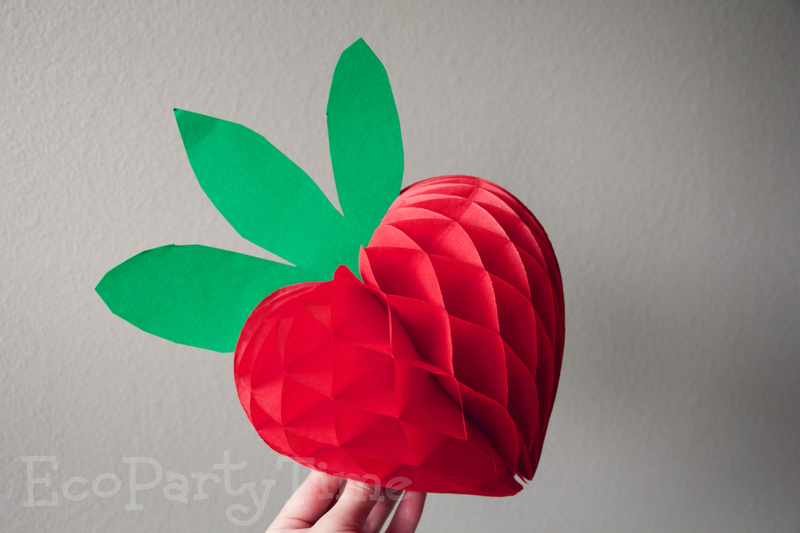 Did you know you can use Tissue Ball Hearts to make strawberries? That’s my next idea for you! 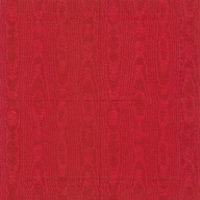 Ecopartytime has these lovely Red Tissue Hearts! 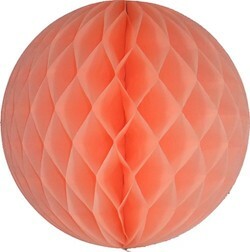 This is perfect for a summer party or a 4th of July celebration! 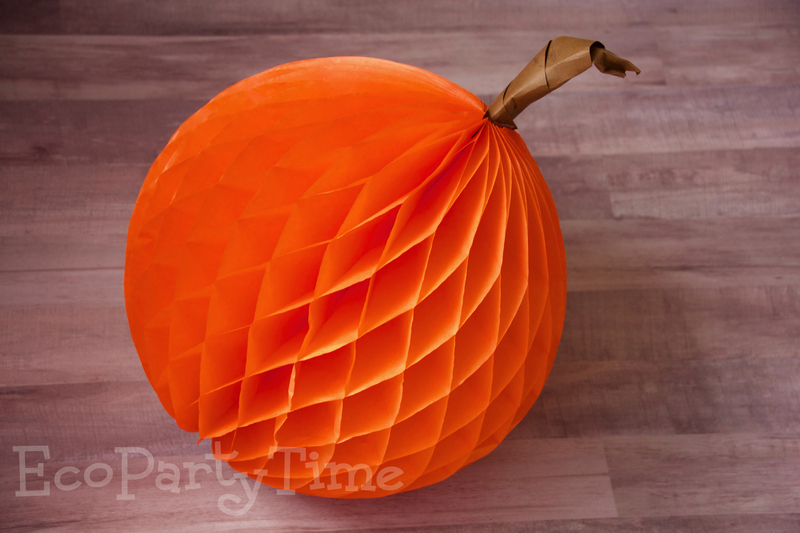 Fall is here and I think this Pumpkin Tissue Ball decoration idea is one of my favorites! 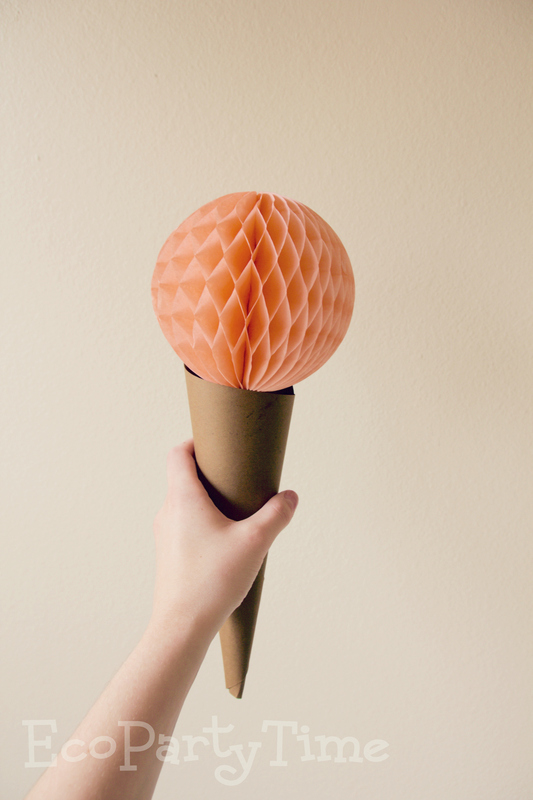 This is pretty easy to achieve with Ecopartytime's Orange Tissue Balls and brown recycled paper formed into a little stem. 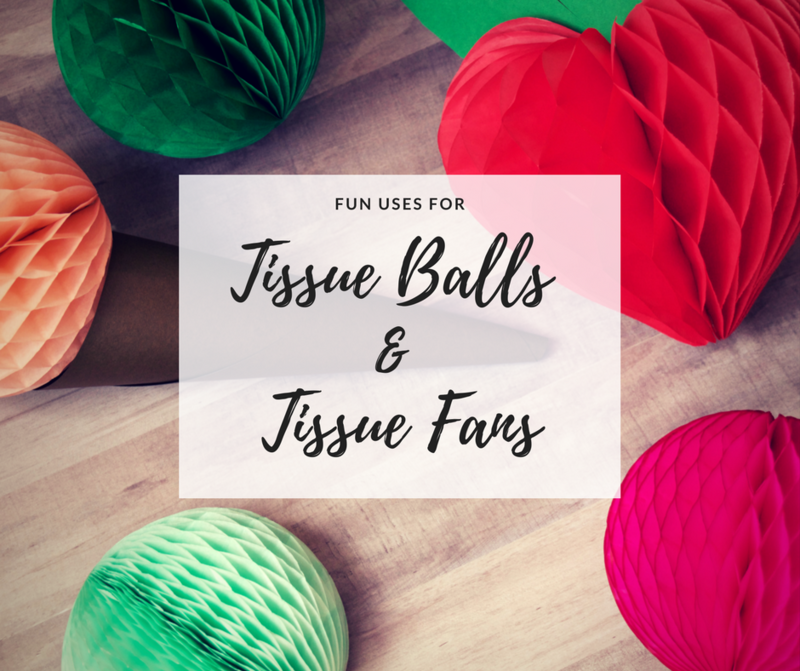 Apart from these creative ideas, you can always just hang the Tissue Balls & Fans from the ceiling. 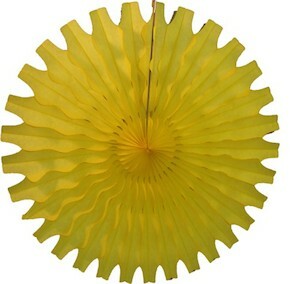 They make great table centerpieces as well for weddings and parties. 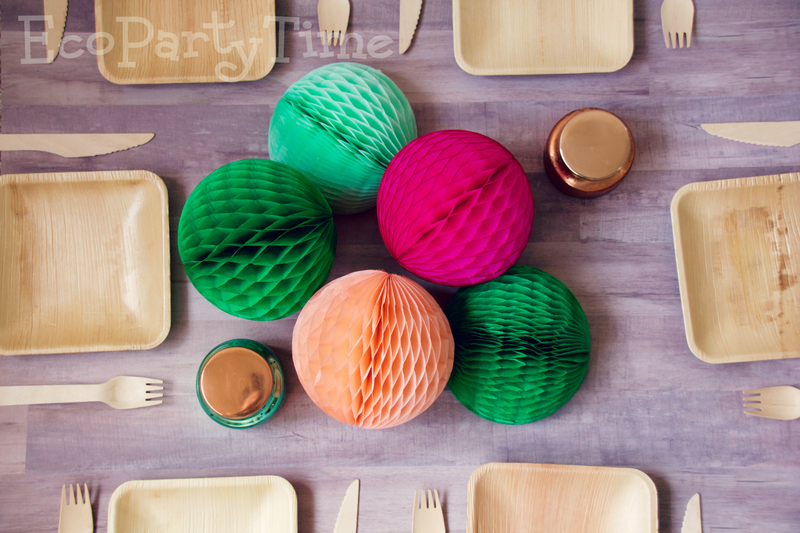 Here's a little inspiration of how I like to arrange them for dinner parties!